A new “Erebus” platform has popped up in the latest release of Unreal Engine 4 which could very well be Sony’s next console – the Playstation 5. 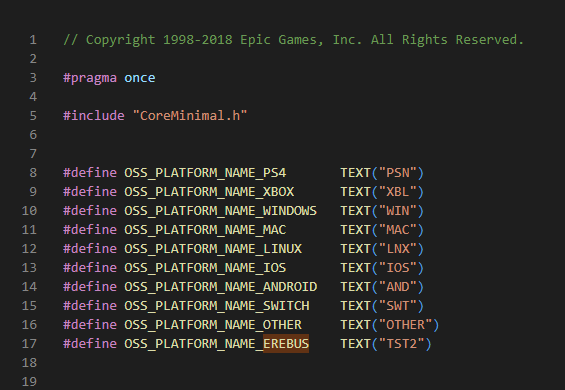 Erebus was found as a new platform in the engine’s supported platform list. In Greek mythology, Erebus /ˈɛrɪbəs, -əb-/, also Erebos (Greek: Ἔρεβος, “deep darkness, shadow”), was often conceived as a primordial deity, representing the personification of darkness; for instance, Hesiod’s Theogony identifies him as one of the first five beings in existence, born of Chaos. After Orbis (PS4), Morpheus (PS VR), Neo (PS4 Pro), now Erebus? PocketStation 2 is more likely. Sounds like a lot of baseless speculation. It could be literally anything. It's worth mentioning that speculation and rumors are two entirely different things. Also resetera -> internet -> Resetera. YOU THOUGHT THIS POST WAS SARCASM, JOJO! BUT IT WAS SERIOUS! All aboard the hype Erebus! Sony's only move into the portable realm is via a smart phone, like a vita inspired xperia play. That could very realistically become a valid platform for developers. Does this mean The Darkness 3 is launch titel? Can't wait for the Erebus Hype Train. Let's Go! I don't think it's a Sony console. So I think it's something else. It could be another Microsoft console, or perhaps Google Yeti... another Nintendo console seems unlikely at this stage. Then don't allow crossplay, basically. It sounds fairly plausible to me. I love this comment on the linked article. Cool name for a prototype. Hell yeah, the times of Orbis and Durango are coming back, this is the most fun part of the generations. Let’s hope it’s Vita 2. It can reborn from its ashes and smile upon us once again. Persona 3 HD remake inbound? There are other things controlling crossplay, but that's one of the rules involved. Maybe I've read that wrong, if so, feel free to correct. Could also be the Google thing, or maybe something from Apple. It's literally just a codename without any further information. Erebus is also the name of an active volcano in Antarctica. I hope this means PS5 will have better cooling system. If they don't call that Trinity, then I'll be pissed off. Better make a hype check thread for it! I see what you mean, but why doesn't it mention Switch? 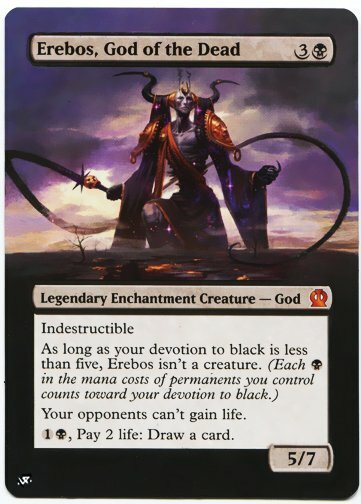 Also given the early stage Erebus is probably at, I don't think this rules anything out. Test 2 sounds like its a custom devkit pc for epic. Trails of Cold Steel 1-4 PS5 collection confirmed. I was about to buy a PS4 pro this afternoon... should I skip ? Erebus forever ruined the Emperor of Mankind's dream in his bid to make Horus fall to the ruinous powers. Most stuff gets cross gen releases around a new gen launch and the big guns don't hit for a year+ out, so even if it's late 2019 you're perfectly fine buying in on PS4 now if you don't have one yet. It could just be a way of stopping people accidentally partying up with friends on PS5 while it isn't supposed to exist yet. It's the Wii U. They're bringing it back. Haha, Erebonia was my first thought too. No, I wouldn't skip it, it'll be a long while before PS5 gets released. 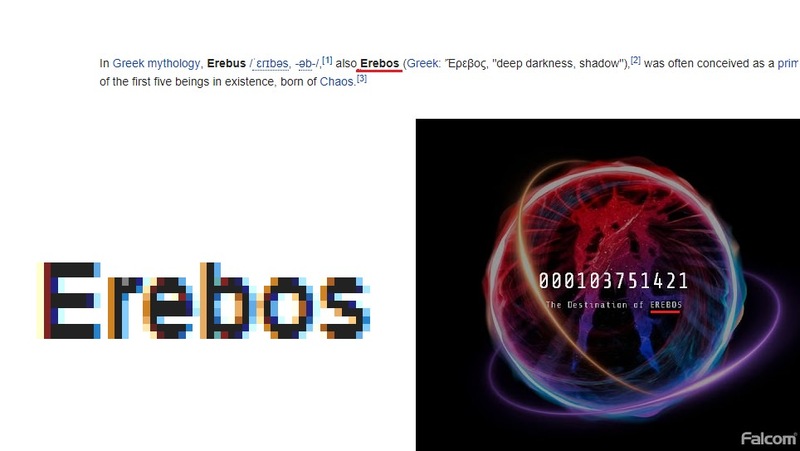 Hmm, PS4 was called Orbis before it was officially announced... so I’m gonna go with a maybe? There are a few booleans used to determine if crossplay should be allowed... one is 'bEveryoneAllowsCrossplay', which I guess will be automatically false if a platform is PS4. That would handle Switch/PS4 mixes, or anything/ps4 mixes. The bPS4SeenOtherConsole bool might seem redundant in that case, but maybe it was added at another point and is still being maintained for some reason. Maybe it's a double lock on PS4 definitely never ever mixing with certain other consoles. (If that were the case it would again lean on it definitely not being a Sony console). You're right in that it's very difficult to read much into this...but if you were going to read anything into it, it might indicate the opposite of it being a Sony console. The other possibility, based on the 'TST2' name, is that this is just a dummy/test thing. However, other commits that make reference to Erebus talk about specific performance savings 'on erebus', which might suggest specific hardware rather than just a software branch. Again though...we're extrapolating a bit. But if it's an actual machine and if we're going to extrapolate, I'd say signs point away from it being a Sony machine. Can't trust a platform indentifiying itself as darkness. Damn, that’s a pretty cool name. If something as trivial as this is making you think twice then you probably should skip it. Also for some reason while reading TST2, I immediately associated to something like TestSTation2.